Gift baskets are perfect for a special gift or for a raffle or silent auction. Gift baskets usually include Bellarmine retreat gift certificates, a Bellarmine prayer book, a Bellarmine coffee mug and/or water bottle, our retreat schedule, and a book about Ignatian Spirituality. 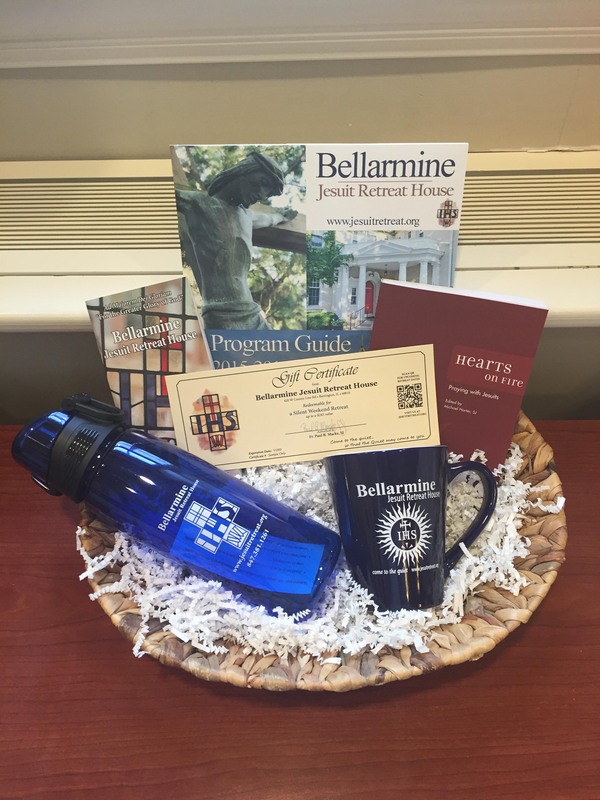 Bellarmine retreat gift certificates and gift baskets may be purchased in any amount by calling our office at 847-381-1261 or emailing us at info@jesuitretreat.org.